In the summer of 2017 we (together with our children) made a camper trip through Western Canada. This was our first introduction to a camper holiday! This has pleased us so much that we have now bought our own camper. But we are sorry that our camper is not used so many weeks in the year (we can not spend the whole year on holiday). 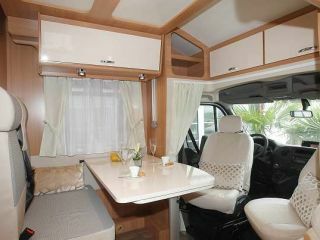 That is why we want to offer others the opportunity to rent our Adria MATRIX M 670 SC. So you can also experience what it is like to celebrate a holiday with a camper. The well maintained and fully equipped camper will certainly make a good holiday! The camper is very spacious and offers sleeping space for max. 5 people (sleeping place for the 5th person is not optimal), ideal for families who want to get away from it all. 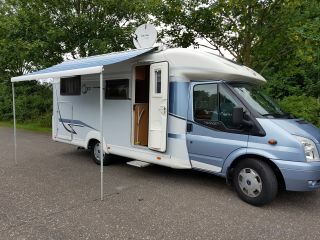 But even if you want to have space with the two of you during the holidays, this motorhome is ideal! The camper is fully equipped to our many. We ourselves economically with our camper and this is also reflected in the condition of the vehicle. He looks like new. We also hope that the person with whom we share our camper will deal with it as much as we do! Would you like to take a holiday with our motorhome? Send us a message. We appreciate it very much to first get acquainted, so that you can also see our camper. That already increases the holiday anticipation. If the camper is not handed in, we will charge 75 euros!